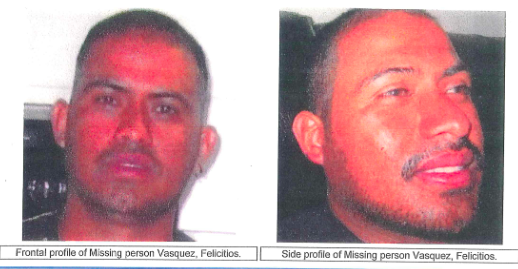 Felicitios Vasquez, a 31-year-old man, has been reported missing according to San Francisco police. He was last seen on Broad Street near Plymouth Street on Sept. 5. Police described as 5 feet tall, 140 pounds with black hair and brown eyes. He was last seen wearing dark clothing with black shoes. Vasquez has never been reported missing before, police said. Anyone who has any information is urged to contact SFPD at 415-575-4444 or text-a-tip to TIP411 followed by SFPD.